The Atmosphere and Ocean is a fully revised and updated student friendly physical introduction to the atmosphere and ocean. Now in its Third Edition, the book continues to provide students with an accessible description of the atmosphere and ocean with emphasis on their physical properties and inter-dependence. Clearly structured throughout, the book demonstrates that the atmosphere and ocean are both subject to the influence of the earth's rotation and therefore they have a common dynamical basis. The author clearly demonstrates the fundamental differences between the two environments and provides the reader with a much better understanding of the atmosphere and the ocean and an appreciation of their closest interactive relationship. There have been many developments in the field over the past ten years and this latest edition of a highly successful textbook brings together new material on the ocean-atmosphere system and climate, the observed circulation of the atmosphere and ocean and radiation in the atmosphere and ocean. 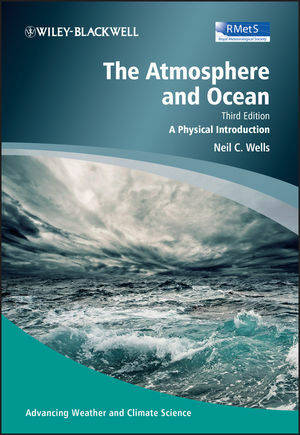 Fully revised and updated 3rd Edition of student friendly physical introduction to the atmosphere and ocean. Now includes new chapters on observed circulation of the atmosphere and ocean, energy flows in the ocean atmosphere system, modeling the ocean and atmosphere, the ocean atmosphere system and climate. Well structured and written in an authoritative yet accessible style suitable for 2nd and 3rd year students taking courses in meteorology, oceanography and related Earth Sciences or as an introduction for graduate students. Emphasis placed on physical properties and inter-dependence of the ocean and climate.